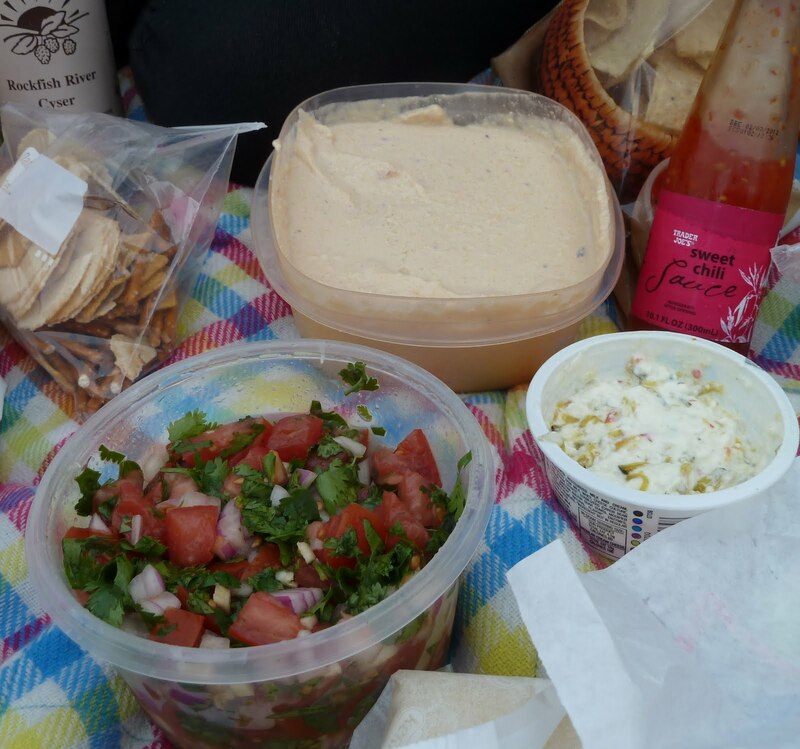 If you want to follow one rule to picnicking on the lawn, it should be to keep it simple. Don’t try to overdo anything, or stress out about what to bring. Some of the best picnics are the ones where you walk into Whole Foods or Trader Joes without a game plan, and just grab what sounds good. But for those who want more direction, I can start you out with one word: dips. When it comes to a dip, there are a million options out there, from salsa and chips, pita and hummus, or potato chips and ranch dip. For something a little different, I offer up the following recipe for Pebre. Similar to a salsa, without the heat, or bruschetta, without the balsamic, Pebre is one of many recipes that help bring me back to my South American roots. It’s traditionally used as a topping for grilled meats, but is fantastic on its own, served with bread or chips for dipping. The recipe is simple. Mix it all together, and let it marinate. It’s actually better on day two or three, so feel free to make this ahead of time. I made this recipe for last Saturday’s Bright Eyes show at Wolf Trap, and served it in a trio of dips that included a cream cheese and pickled zucchini mixture (4 oz. of cream cheese to one large spoonful of pickled veg), and a horseradish cheese dip that my friend Megan found. With a few assorted cheeses and meats, this was quite a feast. I did a little investigating this past week at a certain pavilion in Columbia, Maryland that shall remain nameless, and discovered they had taken down the best beverage sign ever created! But have no fear, Sangria! Sangria! lives on via Wolf Trap’s blog. This is another great recipe that you can make ahead of time. Add whatever fruit works for your taste—but the most important part is to give the concoction a few hours to marinate. This is my mother’s tried-and-true recipe, and while its a fantastic red wine recipe–if you prefer rose or white, just adding some strawberry slices can do wonders for a $10 bottle snagged at Arrowine. Combine the wine, thin orange and lemon slices, and sugar into pitcher and refrigerate for a few hours, or overnight. When you are ready to serve, add the rest of the fruit juice and soda water. If you have your own tried-and-true recipes, feel free to add them in the comments section to share with the rest of us.